It’s hard to look away once you see an Italian car roaming around the street. A face of sophistication and innovation, Italian cars are a piece of heaven on the bustling urban road. But while the Italian car industry is now all glittered with fame and success, it also has a humble beginning. Just like a true success story, legendary Italian manufacturing companies share one common root–they all began when Enrico Bernardi created a petrol-run tricycle back in the year 1884, which led to the rise of the Italian car industry that we all look up to today. The industry’s history is proof that even the biggest giants also start small, making Italian manufacturers a reflection of dedication and commitment. While “cheap” is the last adjective you can use to describe Italian cars, you can still save up on your purchase by looking for cheap used cars available in online auctions. Can’t decide which Italian brand to go for? Let’s take a closer look at the top Italian competitors in the industry. Let’s get started with one of the biggest lions in the den–Ferrari. You’ve seen one in movies and magazines, and you’ve surely been wowed by Ferrari’s supercars. A true icon in Formula One and in prestigious racing events, Ferrari has never failed to keep temperatures rising as it sets fire on every race track. From young boys to old men, everybody just loves–and dreams of–a Ferrari car. So what’s so special about Ferrari? Aside from releasing impressive cars, the company has also bagged numerous awards, including 15 World Driver Championship titles, 16 World Constructors Championship titles and 209 Grand Prix wins. Year after year, Ferrari shows the world why it dominates the race track. Being the only consistent contender in the Formula One World Championship since 1950, the Ferrari team supersedes all expectations with its amazing line of vehicles. Since every Ferrari car is molded with sophistication, it can be difficult to find a cost-efficient model. But if you really can’t get enough of Ferrari, you can always look for cheap used cars under this Italian manufacturer. 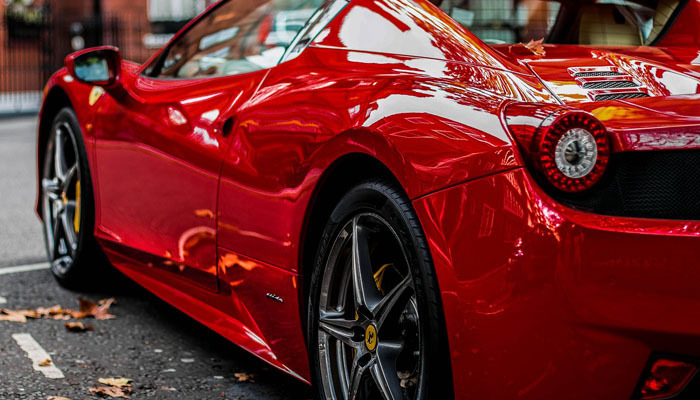 Some of the most prominent Ferrari models are Ferrari 458, 488, 599 and F12. Maserati definitely won’t fall behind when it comes to producing performance-oriented vehicles. As one of the most powerful and most prominent manufacturers of sports cars, Maserati is the realization of every race driver’s dream. It’s fast. It’s gorgeous. And it can definitely give other cars a run for their money. True enough, a Maserati car isn’t something you see on a regular basis. But if there’s one thing that rings true about Maserati cars, it’s that they weren’t designed to be hidden in the car garage as they have all the mechanical features you’d need to make sure that you’ll stay ahead of the competition. The brand is known for its distinctive aesthetics, which perfectly pairs up with an impressive horsepower. Recently, the company produced the Alfieri, which is a strong competitor of Porsche models. While Maserati is far from being a low-cost vehicle, you can always find cheap used cars from Maserati through auctions, which usually feature prominent vehicles such as Maserati Ghibli, GranTurismo and Quattroporte. Lamborghini can effortlessly make jaws drop with its modern, nearly robotic models and makes. This Italian giant manufactures car variants that look like they came straight out of a Transformers movie, making it a top contender in its class. Other than its signature layout, Lamborghini also features sophisticated car features that make driving an easy feat–and yes, this includes hitting the race tracks. One of the biggest breakthroughs of the company came when it launched Lamborghini Murcielago, which falls among the most coveted luxury sports cars of the 21st century. Aside from the compelling Murcielago, the company is also best known for other models such as Lamborghini Aventador, Huracan and Gallardo, which are all sold at a lower price on online auctions. If it’s variety you’re looking for, Fiat surely won’t disappoint as this major game player produces a wide array of vehicular models. From passenger cars to trucks to sports cars, Fiat covers all driving needs with a touch of elegance. Bagging 12 Car of the Year awards, the company never ceases to reign supreme in numerous vehicular categories, making it an ideal vehicle not just for sports drivers, but for families and companies as well. Since Fiat produces many car classes, it can be challenging to choose among its line of vehicles. To help you filter your options, some of the models that the brand is most famous for are Fiat Panda, Punto, Grande Punto, Bravo and Uno. These cars, along with other models, are some of the cheap used cars available online. Our list wouldn’t be complete without Pagani–a famous Italian car company that is world-renowned for its supercars. Just one look at Pagani and you’d surely know why this manufacturer became a favorite of car enthusiasts. Other than its amazing body configuration, Pagani is also known for its robust mechanical features that display not just speed and performance, but longevity as well. So whether you are hitting regular roads or joining an important sports event, you can always count on Pagani to give you an edge over your competitors. Some of the best-selling models under Pagani’s name include Zonda Roadster F Clubsport, which is tagged as one of the fastest vehicles in its class. Aside from this, Pagani is also famous for Huayra and its Tricolore series. Looking for cheap used cars under Italian brands may not necessarily mean that you can get a car at a very cost-efficient price. Technically, Italian cars are expensive, but finding a reliable second-hand model can definitely help you save up from your purchase. So if you need help with looking for the best Italian car out in the market, don’t think twice on contacting us now. With our Car Auction Tool, you can find the cars that best fit all your needs. © Copyright 2009 - Carpaydiem CO.,LTD. All rights reserved.